Finding a winning Strategy, sometimes, even, dare I say it, Most of the Time, is the EASY part. Finding sustainable Liquidity to ensure that your winning strategy keeps on winning... now that can be downright TRICKY. Fortunately for you, sourcing and managing liquidity happen to be two things, on an ever growing list, that PIGs excel at. Just below you will find a quick list of the current feeds available on our LD5 and NY4 infrastructure. There is also a quick blurb on the actual feed itself, information such as the underlying venues that make up the feed and where it is priced and consumed. SPA Single Point Aggregation - 17 FX Banks and 4 Non-Bank Market Makers, all pricing out of London. Consumed in London. MPA Multiple Point Aggregation - 4 ECN Venues and a mix of Non-Bank Market Makers pricing out of NY, LD, and HK. Consumed in London. SFL Sharp Flow London - A Mix of Hedge Funds and Alt Liq Venues (Algo Shops / Dark Pools) priced and consumed in LD via FIX API or MT4. The table below shows you how you can consume these feeds, ie. via what platforms the feeds are tradable. ... and the next table shows you not only where the liquidity is pricing from, but the type of liquidity that is being offered and the ability of each feed to accommodate toxic flow. The definition of toxic flow can vary from feed to feed and from venue to venue. If you aren't familiar with this terminology, your trade flow is probably not toxic. And last but not least, this last table, just below, gives you an overview of the securities that are available to trade on each feed. A complete list of the securities offered on our SPA and MPA feeds is available on the RESEARCH page. To download a hard copy of each Feed's Securities List, including the SPA and MPA, simply click on the download icon that corresponds to the feed you are inquiring about. We Are COMMITTED to Your Success... are YOU? While we cannot promise MIRACLES... they do happen. We have worked closely with dozens of traders, spending countless hours on analyzing data and optimizing liquidity to fit individual traders needs. Sometimes we miss the mark, but SOMETIMES we knock the ball right out of the park. The process of finding tradable liquidity takes PATIENCE, but if you are willing to wait the end result can make a HUGE difference in your trading career, and an equally impressive difference in your bottom line. 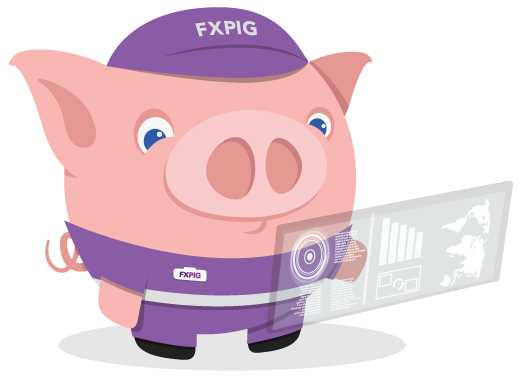 So, you ALREADY know PIGs are TRANSPARENT, LOYAL, SMART, DEDICATED, modest, of coarse, and man, have you EVER seen a broker who really CARES if you are profitable?... From one PIG to another, what are you waiting for? If you haven't noticed already PIGs are also very fond of satire. Look, in an industry that takes itself WAY to seriously, we thought it was time that someone shed some light on what the FX space is all about, how it works, and, why not, make fun of an industry that tries SOOOO hard to project an image of astuteness... by cold calling retirees and sponsoring sport teams.